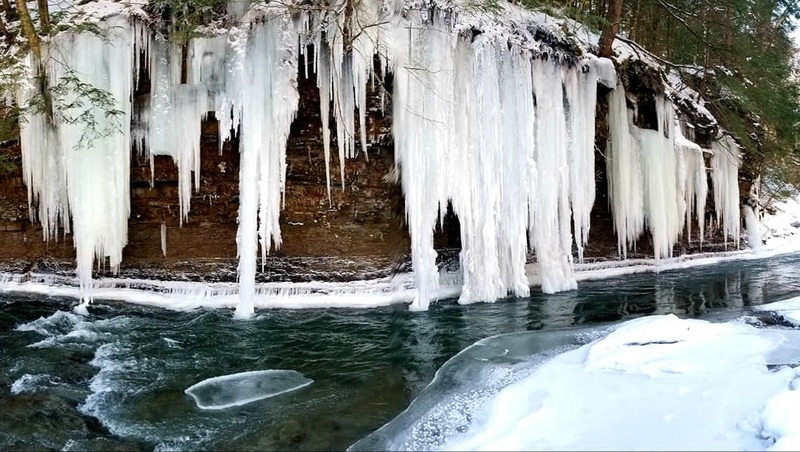 Subzero temperatures created beautiful winter scenes like these along Starrucca Creek near the village of Brandt in Susquehanna County yesterday. Most of this ice and snow is likely to be gone by the end of next week. 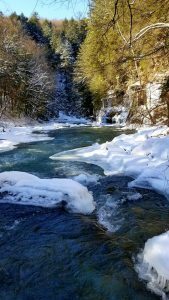 The current cold snap is by no means the worst that we have experienced here in the Endless Mountains, nor will it be particularly long-lasting. Nonetheless, most residents are already tired of it. Warmer air will begin to enter the region on Saturday, and temperatures could remain above freezing both day and night from Monday through Thursday, when a mixed bag of precipitation is likely.